Every school district purchases items and services. From buying crayons to the installation of heating systems, school districts routinely participate in transactions with private companies. Since the passage of Public Act 112 of 1994, which made contracting out a prohibited subject of collective bargaining, districts have been increasingly contracting for school support services that had once been more typically handled by district personnel. 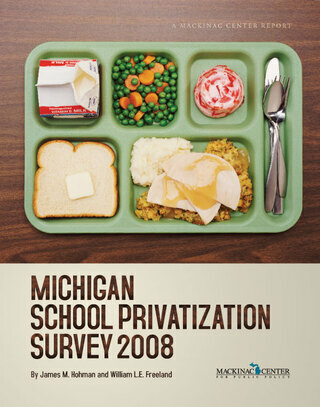 The purpose of this survey is to discover the extent of contracting for these services in Michigan school districts. This is the sixth year of the survey. Obtaining and publishing this information, which is not available in any centralized location, is useful for tracking annual changes and informing the public about the degree to which school support service privatization occurs. The trends that emerge from annual or biennial research on school privatization statewide underscore something of a revealed preference in districts for or against support service contracting. That is, privatization allows us to see what districts and people do, rather than what they say, to underscore their preferences at any particular time.